Have you been thinking about a hybrid, but you don’t want a car? The RAV4 Hybrid is the answer. This crossover has all of the utility you want, but the hybrid technology makes it one of the smartest SUVs on the road. 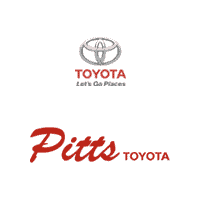 Find your RAV4 hybrid at Pitts Toyota dealer near Warner Robins. While the regular RAV4 enjoys 174 horsepower, the hybrid bumps that up to 194 horses. The RAV4 Hybrid utilizes the latest Toyota technology to harness more power from an electric motor and its battery pack. With a gasoline motor as well, you’ve got a winning combination for performance. It earns 34 mpg in the city and 30 mpg on the highway. Every time you pass the pump on a hot day or during a thunderstorm, you’ll be glad you bought this intelligent, fuel-sipping family ride. The RAV4 Hybrid XLE comes with a long list of favorite standards. The large cargo hold is accessible by a power liftgate. Noise is kept under control with an acoustic windshield. Dual-zone controls regulate the climate for both front seat passengers. A backup camera watches for obstacles. An Entune touchscreen brings internet audio streaming to your ride. Toyota Safety Sense includes a steering assist with a lane watch and an auto brake with a collision and pedestrian warning system. SE and Limited editions add Softex leatherette and a Bird’s Eye surround camera system. Interior color choices come in black, ash, nutmeg, and cinnamon. You’ll find the 2017 Toyota RAV4 Hybrid at Pitts Toyota dealer near Warner Robins. Check out the latest deals and take a test drive. Get financing.